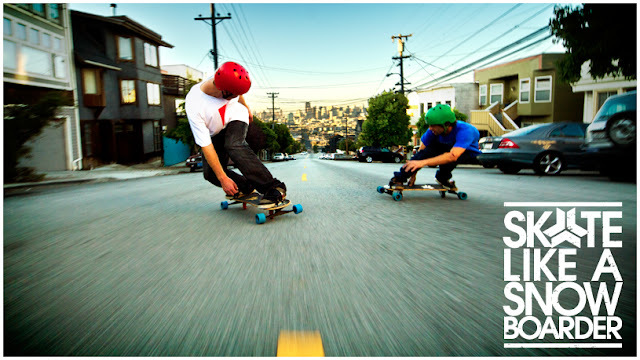 Freebord is a skateboard that’s been modified to ride more like a snowboard. It has two extra wheels on the center axis that spin freely, allowing you to swoop and slide around on the pavement. Freebord was started in 1996 by Steen Strand in Palo Alto, CA while studying for his master’s in product design at Stanford University. Steen wanted to find a way to bring the snowboard ride to the street and began developing prototypes of a skateboard that could slide, drift and stop just like on snow. He patented his design and began assembling and selling the first “Alpha” Freebords in 1997 out of his garage in San Francisco, CA. Since then, Freebords have evolved to become shorter and lighter, with bindings to hold the rider’s feet while carving and sliding. For some reason, that's how it's spelled "freebord" - skateboard/snowboard type board with six wheels ( two spring locked castor wheels on the central axis, and four slightly raised conventional wheels ), and 2 foot bindings that look like handles cut in half for you to stick your feet under. They say "freebording" is the closest you can get to snowboarding on the pavement. 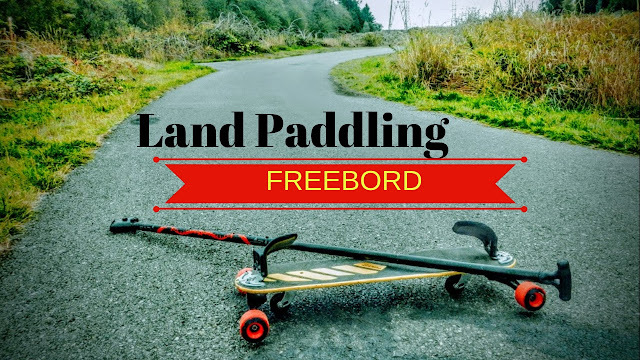 Unlike longboarding or mountain boarding, freebording allows you much more versatility with tricks like on the ground 360 spins and carving.